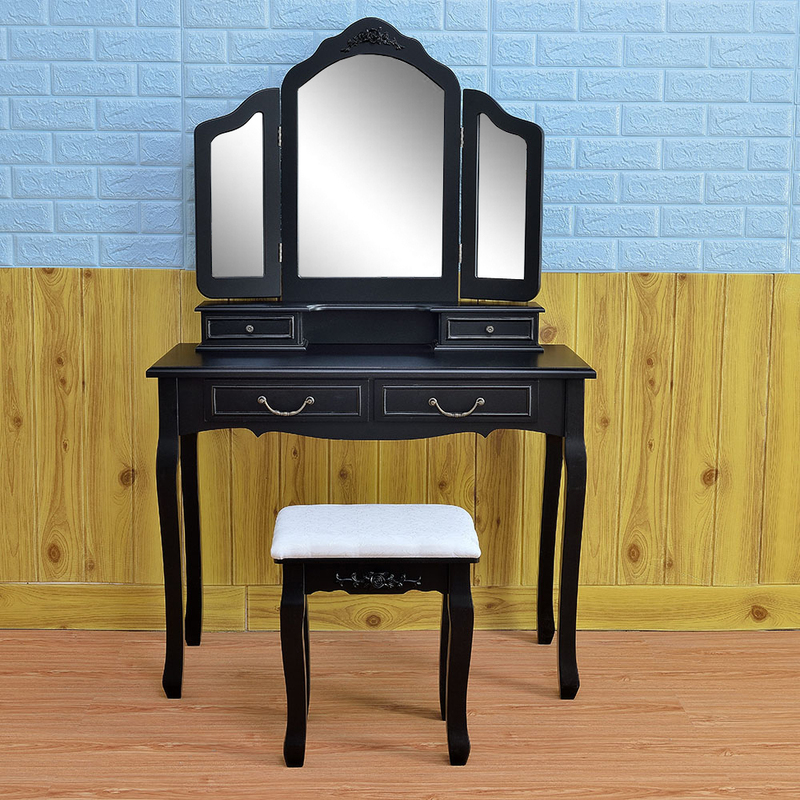 You can't not miss this Tri Folding Mirror Vanity Dressing Table Stool Set with 4 Drawers Black Table is made of high quality MDF, which is smooth, study, durable and corrosion resistance. Totally it has three mirrors, so it's convenient for you to dress up yourself. 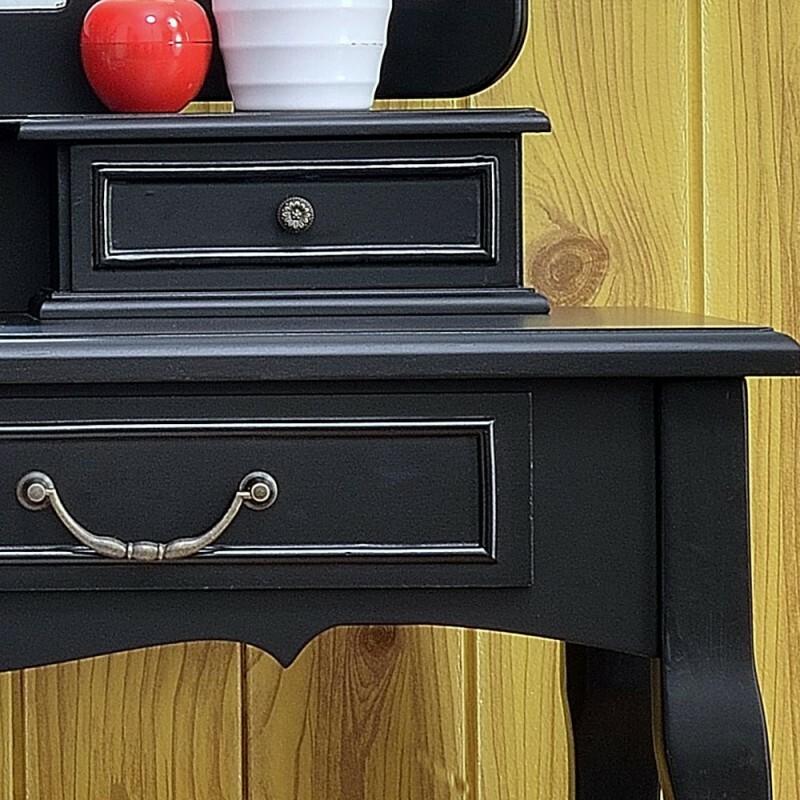 Moreover, the top of the dresser can be removed, so you can use this dresser as a desk. 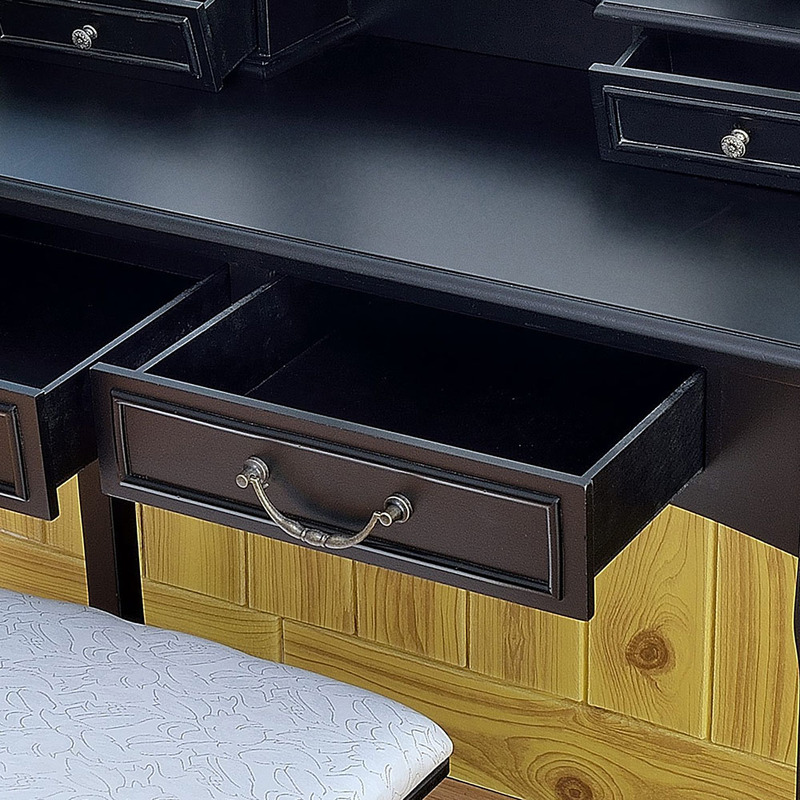 In addition, this dresser is easy to install, and only need partial installation. This dressing table was a gift for my lovely grandmother.It took me about an hour to install it.It looks very beautiful and firm.My grandma loves it very much.I feel so pleased that I purchased it. 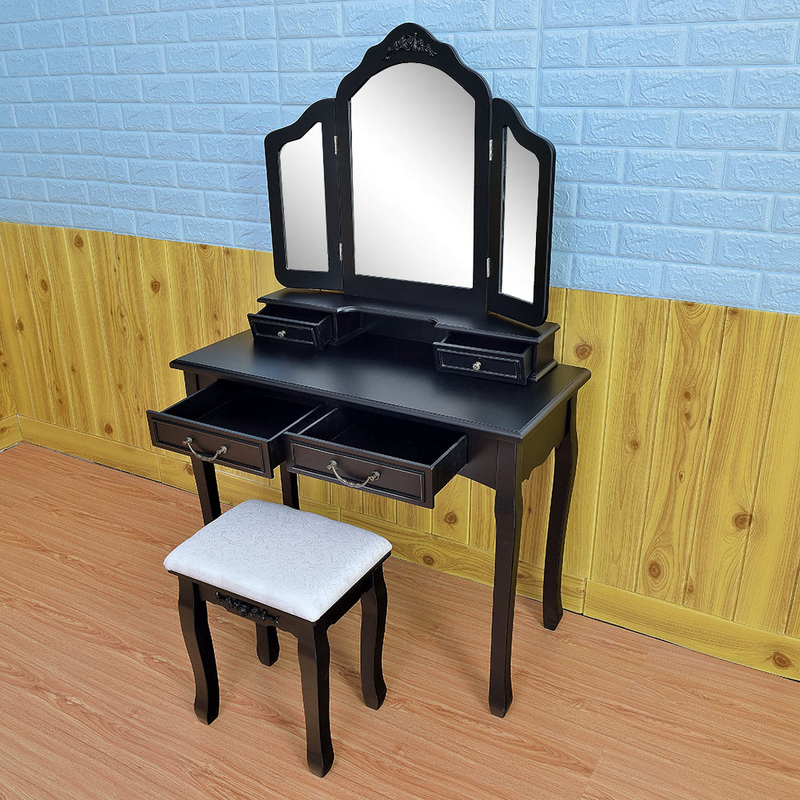 I bought a makeup table with 2 colors. This is for a mother, it is suitable for her.